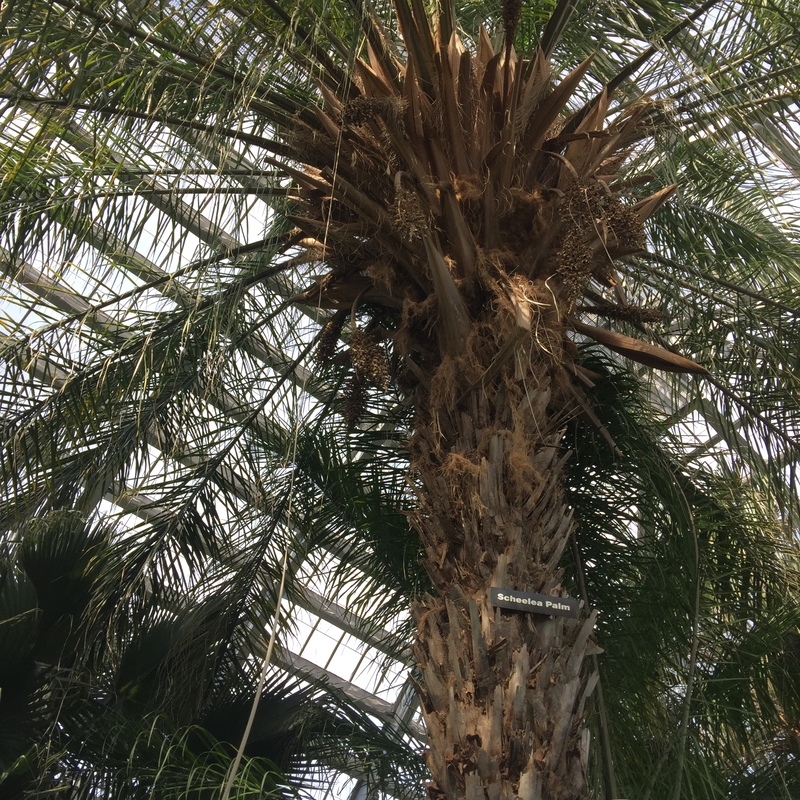 This palm was planted at the Garfield Park Conservatory in 1926. It takes time and tending over generations to get something like this. Between Pope Francis and the nine Charleston “Saints” whose deadly witness held us just as rivited a few months ago it is obvious to all that faith is not synonymous with stupid, mean and irrelevant. They are helping us see through the stars, bars and blather to something real. If you need forgiveness, intelligence, mature compassion, it is a reasonable idea to look toward an institution where faith has been nurtured over a few centuries, or, in the Pope’s case, millennia. If something lasts longer than one lifetime, or even a season in one lifetime, it is likely that there is a tradition involved, ecology not just of one, but many institutions. The Pope, for all his evident virtues, did not invent or elect himself to the role of Pope. The very institution that has been so egregiously, yes, criminally, complicit with some of the worst imaginable abuses of power and privilege turned around, found its best possible self and—who could imagine it—found a guy to fill the role that has electrified the nuns, nones and nearly anyone with a heartbeat. The Saints of Charleston who died–and the hundreds more that lived to forgive–were not a random gaggle of what really good people, but a fellowship born and formed with those easy-to-dismiss rhythms of bible study, song and prayer that turned out to be—when tested on a horrible afternoon—to be stronger than speeding bullets. The Zaban Room at The Carter Center has held hundreds of creative, improbablyy hopeful meetings. This one anchored by Ray Fabius, CareNet and Ron Manderscheid on integrating Spirit into Population Health. 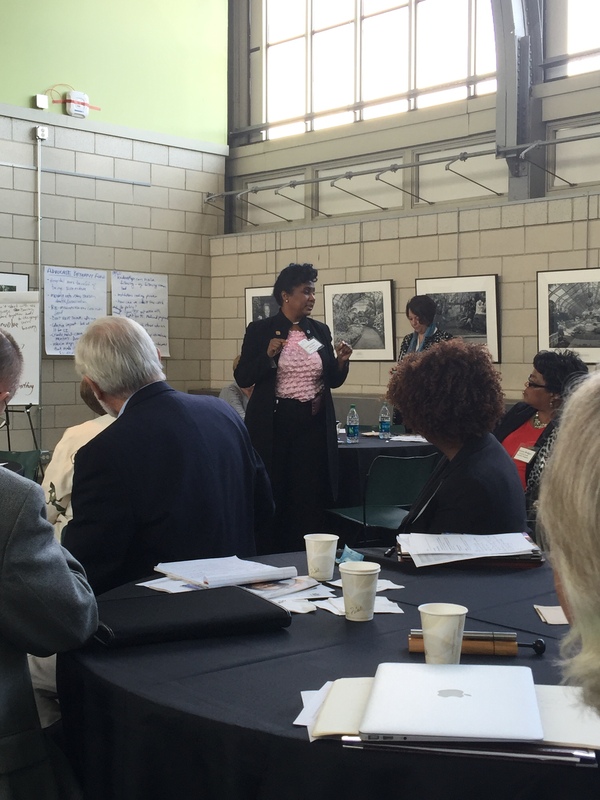 On Wednesday a small group of experts in behavioral and population health gathered at The Carter Center (named for a Baptist deacon who knows about formation even unto the edge of death). The “we” included Ron Mandersheid and Ray Fabius, who has literally written the textbook on population health (second edition!) before most of us heard the term at all. He was with us after gaining specific permission from his mom so that he could travel on Yom Kippur, a day held sacred across not two, but four millennia and counting. Why? Because the subject was how to integrate the sacred, the Spirit, into the work of behavioral health as it is integrated into large-scale population scale programs. One of the questions alive in the room was how to accelerate and shift “health” from being all about disease and preventing toward the positive dynamic we hope for. What does “faith” know about that, given that from the outside, the institutions of faith seem to be mostly about not doing things? What does faith know about life that could be integrated into—maybe even illuminate—population health? The answer isn’t in the tricks of faith-based behavior modification that drizzle a bit of ritual razzle-dazzle over the dreary goop that “wellness” programs use. It is about the practices, disciplines—traditions—that shape we humans over the complexities of life together on this spinning and wobbly planet. Those traditions help us adapt to unpredictability, with a huge toolbox relevant to failure, forgiveness, resilience and hope. And the traditions themselves adapt—as Pope Francis is modeling in real time brilliant humility. 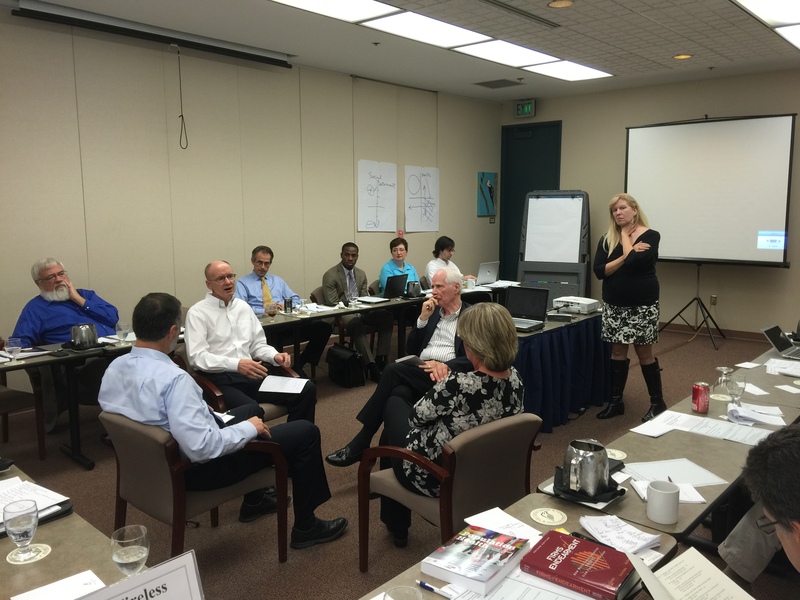 Dr. Kimberly Dawn Wisdom of Henry Ford Health System is one of the springs of intelligence within Stakeholder Health. While the Pope was doing his best to tend to America’s soul one Speaker at a time, the leadership of Stakeholder Health was working in Chicago, where the FaithHealth movement was born, reborn and reborn many times, with another FaithHealth infant in the birth canal as I type. Stakeholder Health is a learning group of those who are living institutional lives, trying to find the shared intelligence, courage and community needed to nurture another round of transformation. What we want to learn the most is how to find and release the deep practical nobility found in the birth story of these hundreds and hundreds of faith-inspired healthcare organizations. Stakeholder Health includes a number of institutions that are not faith governed. Some of those, like Henry Ford and Nemours, spring from the social conscious of a vastly wealthy industrialist; others like ProMedica, MultiCare or Kaiser, express another community of social imagination. But all of us know we are drawing on more than our own toolkit of techniques and clever people. And we know we are doing so for a greater purpose than ourselves. All of us have an ear for the inconvenient cries for mercy rising up from the streets and neighborhoods we were born to serve. We know—as does anyone who has ever attended a church committee—that our institutions are deeply complicit with the banal evil of every status quo. Yet, we also know they are capable of nobility and of giving the moral energy of thousands of employees and their partners a chance to express itself at a scale unimaginable by one, two or a group of individuals. We heard about the miracles born of wrenching change—the closing of Advocate Healthcare’s Bethany Hospital—with angry wounding community protests about broken trust. Out of which came the Advocate Bethany Community Health Fund, structured for transparency and partnership, to steward a million dollars a year into carefully defined West Chicago neighborhoods to strengthen the non-profit and faith organizations closest to those tough streets. 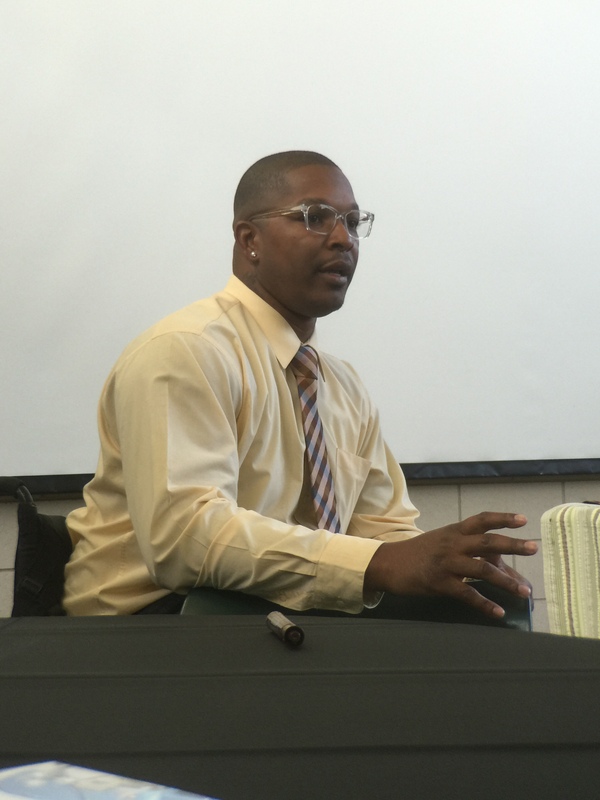 We heard the radical simplicity of CeaseFire Chicago, which blends the power of ER chaplaincy (embodied by Richard James) with the brutally won integrity of one who has lived the life of violence and its paralyzing fruits (embodied by LeVon Stone). The “golden hour” is that which follows the bullet’s impact, doing all to break the cycle of retribution. If not forgiveness, maybe grace, at least resilience. It doesn’t always work; but it is almost the only thing that does work. 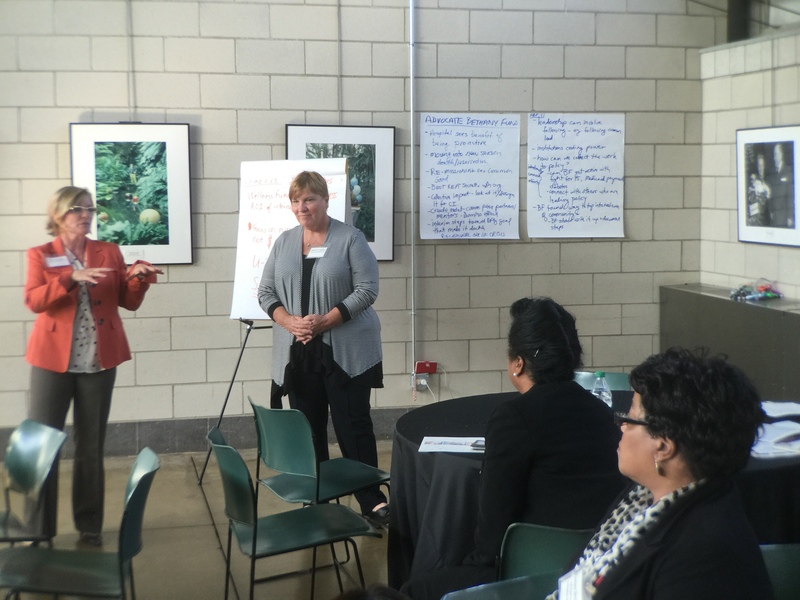 Dr. Carrie Nelson and Dr. Bonnie Condon unpack the complexities of aligning thousands of physicians for the health of the community. And we learned from Dr. Carrie Nelson of the mammothly hopeful and excruciatingly complicated task of turning 4,500 Advocate Health physicians toward the work of health in exactly the same way that got Ray Fabius on the plane to The Carter Center. How exactly does that come to be, not just outside the walls of the hospital, but also outside the doctors’ exam rooms and maybe even on the streets in between? We learn of each other’s best attempts, still caught and partial, filled with frustration and inertia. We become braver, not just smarter. We look at our little lives and decide to risk our reputations as professional grown-ups on things that have never yet worked before. So, all across the vast warren of Chicagoland streets, dozens of hospital are working together to coordinate their community health needs assessments, struggling with the insane arcana of cleaning and aligning data so it can be made coherent at large scale (sort of like making oil and watercolors blend in one painting!). It seems just impossible. But then it is possible, at least enough to encourage those in the heart of it to try a bit harder, to invite a few more partners (let’s paint with acrylics, too!). It isn’t smart enough, yet. But certainly wiser than anything ever before. Even naming a collaborative learning document with seventy authors is hard! Stakeholder Health will find a way. There are some thing that one can absorb by listening and others that only become known through the laborious process of writing. And some by the even harder process of collective writing. Stakeholder Health is working on a second “collaborative learning document” that can help us name and claim the land we are in now. We wrote the first before the Affordable Care Act had passed through the valley of shadows known as the Supreme Court. We are in a truly new place drawing hospitals over their institutional moat and public health into partnerships only dimly imagined (with hospitals????). 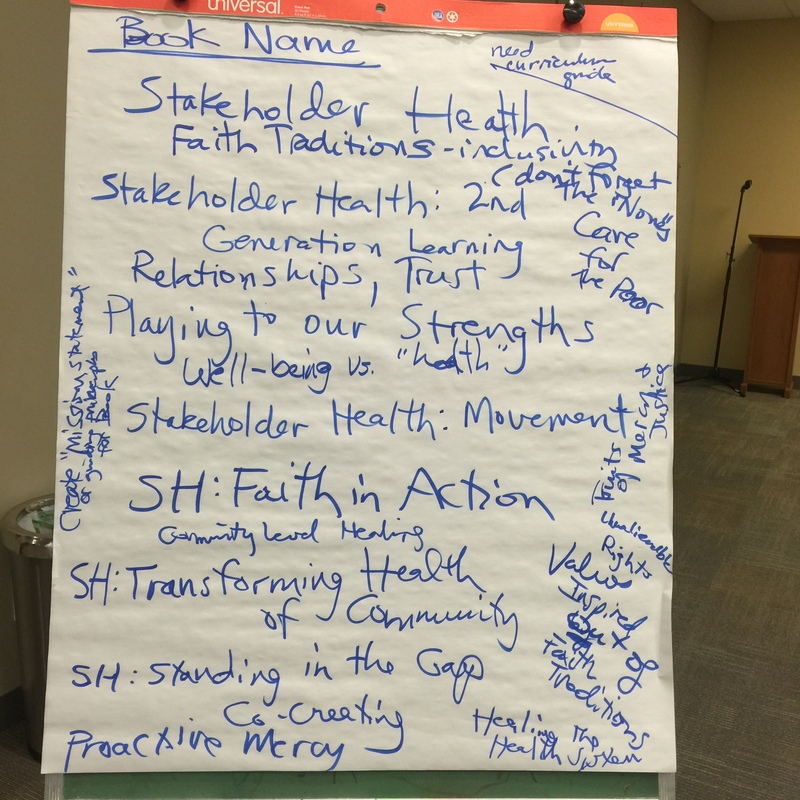 Stakeholder Health knows that one of the greatest and most hopeful unknowns is whether and how the quiet innovations among congregations and faith networks can be woven into the fabric. Like weaving behavioral health and Spirit (surely, we can do this! ), weaving congregational intelligence and energy looks obvious until one tries. Even in Memphis where it has been nearly institutionalized, it has failed to become adapted across the full spectrum of competing hospitals (or competing faith ministries!). We need to learn more and far more quickly about integrating the full spectrum the hopeful arts of faith and health. So we are writing a not-book quickly emerging from the field, ready for the field with ten (or is it 11) chapters marking our learning edges. This is holy and profane work, the only kind we get to do on this planet. It is the only kind any humans have ever hoped to do. We think in these days of Dr. King’s hopeful counsel about the arc of history bending toward justice. 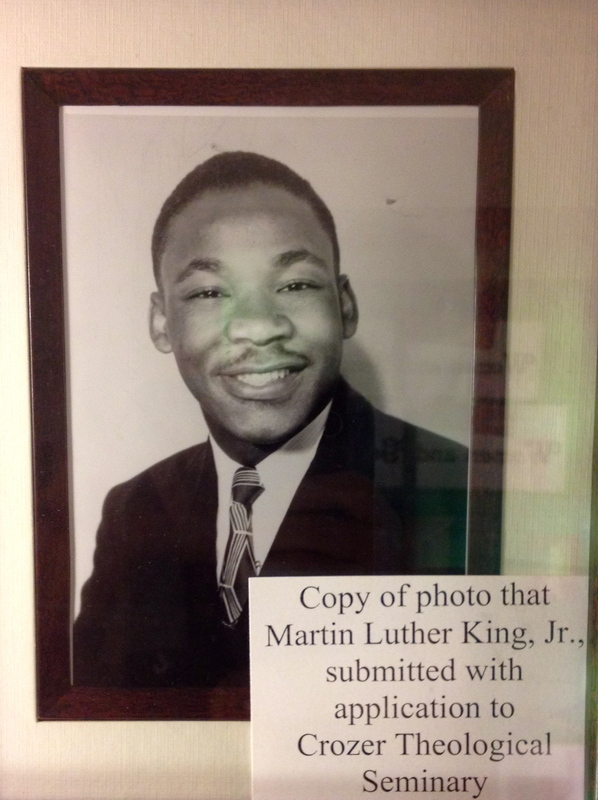 Martin Luther King as a potential student to Colgate Rochester Seminary, long before he came to know of arcs of history and mountaintops. The arc is a long one, My eye reaches but a little ways; I can not calculate the curve and complete the figure by experience of sight; I can divine it by conscience. And from what I see, I am sure it bends toward justice. This entry was posted in 100 million lives, Beloved Community, leading causes of life and tagged 100 million lives, Boundary Leaders, faithhealthnc, Leading Causes of Life, Stakeholder Health. Bookmark the permalink. Thanks once again Gary. I am encouraged to hear of these conversations that explore how the practice of faith might deepen our embrace of health. For surely this is the basis of any serious attempt to bring to life a movement of peoples toward healthy lives and societies. One fundamental issue I struggle with relates to the notion of body. Faith traditions tend to see it as the temporary harbour of the true person – the soul. I cannot conceive of myself without my phsyical form. And of what value is that physical form if it is not experienced as the medium of true personhood? Until we people of faith can make better sense of our imminent physicality against its transcendent backdrop, I suspect our exploits in connecting faith with health will remain confused and marginal.